An 87-year-old doctor whose programming of accurate earth models led to the current GPS system has been inducted into the Air Force Space and Missile Pioneers Hall of Fame. 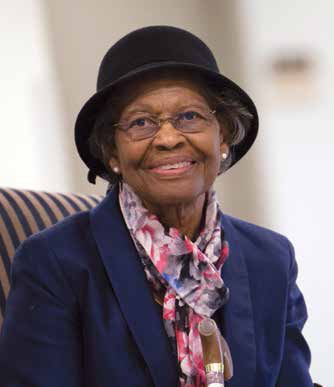 Dr. Gladys West was presented with the Air Force Space and Missile Pioneers award for her decades of contributions to the Air Force’s space program. West was one of only a few women who participated in computing for the U.S. Military in an era before electronic systems. She is also credited for programming calculations that ultimately became GPS. The Federal Communications Commission in the USA – after a multi-agency process that started in October 2013 – approved on November 15 of this year a request from the European Union that Galileo signals be allowed to be received in the United States. Though the Galileo signals were already being broadcast in the U.S., and there was no enforcement effectively denying their informal use, the official approval enabled nonfederal agencies to use Galileo signals to meet official needs. For example, it will now be possible to use the two approved Galileo signals to more accurately locate cell phone callers who are dialing 911 for help in an emergency. But it was just two signals that were given the thumbs up by regulators. The original request was for approval of the Galileo E1, E5 and E6 signals. The FCC approved receipt of E1 and E5, which overlap with U.S. GPS signals. That approval also means that those signals will be protected from future interference when requests to use spectrum in other ways come before the commission. The FCC declined to approve the E6 signal, which falls in the 1260-1300 MHz band. The commission determined that allowing receipt in the U.S. might create interference issues and limit options for expanding use of the neighboring 1300-1350 MHz band. On December 17 the GPS Innovation Alliance (GPSIA) asked the FCC to reconsider its E6 decision. The Alliance also noted that U.S. policy statements and international agreements indicated broad support for approval of GNSS signals including those from Galileo. In particular the agreement between the U.S. and EU that ensured GPS and Galileo compatibility, stated that the U.S. would not restrict “use of or access to” Galileo signals in the U.S.
Beidou, China’s home-developed satellite navigation system has launched its global service ahead of schedule. Ran Chengqi, director general of the China Satellite Navigation Officeannouncing completion of the global coverage of the third-generation positioning system, ahead of the previous rollout target of 2020. China has already shipped more than 70 million Beidou systems, which include microchips and modules, domestically and to over 90 countries, and the system is being well-received in Russia, Pakistan, Thailand, Indonesia and Kuwait, according to Ran. Recently, the signal quality assessment team from the National Time Service Center (NTSC) of the Chinese Academy of Sciences established Global Navigation Satellite System (GNSS) spatial signal quality assessment system based on 40m antenna in Luonan County, Shaanxi Province. It realizes high-precision test evaluation of GNSS satellite navigation signals by using the international initiative special evaluation system, which covers the spatial signals of the new navigation signal system of major satellite navigation systems such as BDS and GPS. The system uses the satellite commonview and two-way time transfer technology of NSTC to achieve synchronization between system time and UTC (Coordinated Universal Time). And for the first time in the world, it adopts the optical fiber transmission network standard absolute delay method and uses high-frequency standard instruments and the dedicated navigation signal test equipment to realize the closedloop calibration of the RF signal. The Russian GLONASS station will improve the accuracy of navigation systems and have an impact on many areas, from air navigation to agriculture, Armenian Deputy Minister of Transport, Communication and Information Technologies Armen Arzumanyan said. The ground station will operate on the territory of the Byurakan Astrophysical Observatory and now includes three towers for communication with satellites, as well as a server center for processing the received data. The Indian Space Research Organisation is getting ready to host a ground station for Russia’s GLONASS. The ground station will help the Russian navigation system become more efficient. The ground station will be built in Bengaluru, a city that is already home to the ISRO Telemetry, Tracking and Command Network (Istrac). Istrac will host the Russian ground station as well. Venezuela will use Russia’s satellite navigation system GLONASS, Venezuelan President Nicolas Maduro said on Thursday. Russia’s space corporation Roscosmos is conducting talks on placing ground stations of the system of differential correction and monitoring of the satellite navigation system GLONASS in the United States. The United Kingdom has walked away from negotiations over its post- Brexit involvement in the Galileo. Instead of using Galileo‘s militarygrade signal, Prime Minister Theresa May announced Nov. 30 that the U.K. will explore building its own GNSS. That means that after Brexit, British companies would not be able to bid for contracts involved in developing and maintaining PRS, and the U.K. would have to work out a deal with the EU even to become a passive user of the military-grade signal, unless another arrangement was reached. A new approach by a team around Milad Asgarimehr, who works in the GFZ section for Space Geodetic Techniques and at the Technical University of Berlin, together with researchers from the Earth System Research Laboratory of the National Oceanic and Atmospheric Administration of the USA (NOAA) and the University of Potsdam, uses information contained in radar signals from GNSS satellites (Global Navigation Satellite System) to detect rain over the sea. The technology is called GNSS Reflectometry. It is an innovative satellite remote sensing method with a broad spectrum of geophysical applications.